I wanted to get this posted. It’s been moving slowly as I’ve been under the weather lately. This came in on 12/31/2014. Great way to end the year. We need the followers of the page to seriously read the material that is being posted here. These GSA materials are going to be particularly important as they are the last of the four agencies I FOIA’d for information to respond. (EPA and Coast Guard made token releases and there are outstanding appeals for those releases.) The final appeal to MARAD went out Friday and was accepted Monday. More on that, later. It’s been 14 months and 10 days since I submitted the FOIA to GSA and this is all we have so far. This is the FOIA that they wanted to charge me over $10,000 to fulfill. So far we only have a few hundred pages. For that price, there should be over 5,000 pages of documents. Of course, that would have required someone to be paid over $9,000 to review them for release. What rot. They are releasing this information only because investigative reporter Danielle Ivory of the New York Times requested the same information. I am only being courtesy copied on the release. Nevertheless, there are answers as to how STORIS was allowed to be destroyed in these pages. There is also ample proof of the arrogance, ignorance, incompetence and deceit within GSA (and within the federal government as a whole). With that said, this is the second GSA release related to STORIS. The 10-page document as Document 1 is nothing but a highlighted printout from the GSA Web site – already public – and they were most likely going to charge me a bundle for it. The second document is 273-pages long and has proven to be a disturbing read. First of all, GSA claimed in its response with the first release that it had no information related to the Certificate of Financial Responsibility, yet there are several email exchanges within this packet that discuss Mark Jurisich of U.S. Metals Recovery working to get the necessary insurance for the COFR. Someone else asks what COFR stands for. How can GSA sell ships if they don’t know what the legal requirements are and the necessary documentation? P 22 – The correspondence identifies STORIS as being destined for scrapping on June 28, the day the ship was awarded. They KNEW she was going to be cut up. It also brings up the MOA with AK SHPO and USCG, explaining that the responsibility is in preserving the ship’s history, which is the Coast Guard’s problem, not GSA, so they can get rid of the ship herself. “Another important piece of information for you to be aware of is the high bidder will be using the vessel as scrap metal. The MOA with the State Historic Preservation Office and Coast Guard (attached) put the onus on the Coast Guard to preserve the history rather than putting restrictive covenants on the vessel itself. Just because they could dump the ship, doesn’t mean it was the right thing to do. Just like there was no restriction listed in the GSA auction listing for the ship that recycling would be restricted to U.S. facilities, there is also nothing mentioned in the document about the federal laws that we have discussed that should have prevented this debacle from happening. 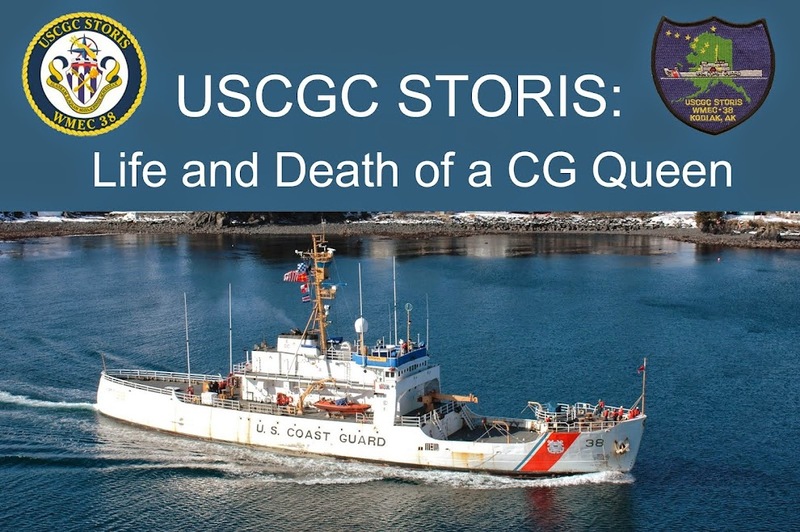 40 USC 548 should have mandated that STORIS’ disposal be handled through the U.S. Maritime Administration, NOT GSA, because her tonnage exceeded 1,500 tons displacement. Section 3502 of the Duncan Hunter National Defense Authorization Act dictates that all retired U.S. Government vessels must be recycled in U.S. ship recycling facilities. No foreign scrapping of these vessels is permitted. Yet STORIS was cut up on the beach in Ensenada, Mexico. Foreign scrapping was the only way that the buyer could have made any kind of profit in scrapping STORIS, as her size made domestic scrapping cost-prohibitive. It shouldn’t have been possible for her to be exported to Ensenada, but the government allowed it to happen. P 27 – There is discussion about the Museum donation process and reserve price issues. Since the ship was considered surplus, GSA apparently set a reserve price to encourage bids but officials were also apparently ready to accept any price. In fact, GSA officials started exchanging emails just after the auction was completed indicating that they were going to accept the bid, even though it did not meet reserve. GSA refused to donate the ship, but at the same time, if we knew that they were going to allow her sale for such a low amount, we could have put together the necessary funding to purchase the ship ourselves. It would have been in the best interests of the ship. The MOA used by GSA to dispose of STORIS without consideration for her history was created through Section 106 of the National Historic Preservation Act of 1966. However, I also believe that the language of Section 110 of that same legislation should have created a strong incentive for the government to put the ship’s preservation as a top priority, especially since she had recently been officially listed as nationally significant on the National Register of Historic Places. This is discussed in the document related to the Nauticus Conference Sept. 25. The document is here: http://goo.gl/PKmKa2. There is also snarky discussion about Jim Loback and STORIS Museum. Reading through these materials, GSA claims (correctly) that no other federal or state agency claimed the ship when they had the opportunity. They also claim that no one asked for the ship as a donation. We know that to be patently false, considering Jim Loback had been talking with GSA and Coast Guard officials about saving STORIS for weeks with GSA and YEARS with the Coast Guard. GSA describes their refusal to deal with the STORIS Museum for donation purposes because the organization didn’t qualify under their rules as a “real museum.” That required having full-time professional staff and a building for a certain amount of time. GSA officials blame Jim Loback, as “that guy” who didn’t do what he said he was going to do. Jim spoke with GSA and other government officials on more than one occasion explaining the situation: GSA officials were obviously ignorant or refused to accept the reality that STORIS was the building for the proposed museum. How can you establish a museum vessel if you don’t have the ship? And without a clear shot at obtaining title to the vessel, fundraising was extremely difficult. At one point, before GSA was apparently aware of the MOA between AK SHPO and USCG, Jim was told that the ship could be transferred at low cost with a waiver. I believe it was Heather Bischoff who told Jim that they had created such waivers in the past and STORIS Museum would be able to be part of the process in writing protective covenants for the ship. Jim was told there was a high certainty, above 99 percent, that we would get the ship. Once GSA found the MOA, all that was immediately dropped and GSA worked to get rid of the ship ASAP, again with no concern for her physical integrity and national level of historic designation. Whether that was documented is unknown, but it hasn’t shown up yet in any paperwork. If such paperwork or correspondence exists, I doubt GSA will let it see the light of day. But I know what Jim was told. I have also been told by Jim Loback and another credible source that GSA offered the ship directly to the State of Alaska as a donation and Alaska officials turned down the offer. Again, the veracity of this I have no doubts about. It’s whether or not the government will admit to anything or keep paperwork hidden. I resent referral to Jim Loback as “that guy” and the tone taken. Jim put a lot of work into the effort to save STORIS and is a veteran of multiple branches of the armed services. It says a lot about the GSA bureaucrats to speak in such a disrespectful, cavalier fashion about someone so dedicated to preserving a legendary icon of U.S. Maritime Heritage. GSA refused to make an exception to their plans to sell the ship by reopening the donation period to allow the U.S. Navy Sea Cadets to claim the vessel through the public benefit provisions of federal law, as they are registered recipients of GSA surplus. However, GSA allowed the buyer exceptions with his lengthy noncompliance in removing the ship from the SBRF and last-minute provision of a Certificate of Financial Responsibility for insurance coverage related to pollution prevention. Also on pg 27, the June 28, 2013 email from Dave Robbins, Director of Office of Personal Property, states that it is not in the best interest of the government to force the Coast Guard to pay to dispose of the vessel. Apparently GSA doesn't appear to know that domestic ship recycling companies would pay the government to dispose of the vessel. Again, if we had known they were going to sell the ship for $70,100, we could have put that money together. GSA insisted that it was in the best interests of the government to accept the offer, but it obviously wasn’t in the best interests of the ship. And in the long run, the $70,100 that the government took in for STORIS certainly would have been exponentially eclipsed by the economic and cultural benefits of preserving the ship as a living history museum vessel and training ship for the U.S. Navy Sea Cadets. But the bureaucrats can’t see that. GSA incorrectly states that the second bid for STORIS was submitted by the STORIS Museum. While the Museum was a registered bidder, we did not bid as we had a poor cell phone connection with the financial backer, who was out of the country on a business trip in the Caribbean. Secondly, as the bidding clearly had not reached the reserve price, according to the rules posted on the GSA Web site, the assumption would be that the ship would not be sold and would be relisted with a lower or no reserve. GSA pulled the wild card also published on their site that they basically could do whatever they wanted in accepting bids, as highlighted in Document 1. The communication stream repeats over and over again for dozens of pages, with little new added information. Who made the request to void the sale? And where is the proof that money had been spent to move the ship. The COFR wasn’t issued until literally just before the ship was moved. We’ve already seen that MARAD was not happy with the delays in removing STORIS from the Reserve Fleet, and we already had heard from reliable contacts on the West Coast that the buyer was trying to make arrangements to make the ship “disappear into a hole” somewhere in the Bay Area to be scrapped using hired migrant workers in a wholly illegal process. Again, the document repeats over and over again, with several inches of white space between paragraphs and an occasional blank page. No wonder they claim that it will take 5,000 pages to fulfill the request. What waste, but it’s the government. Around pg 239, the KMXT radio story surfaces where I was interviewed Oct. 28 about the ship containing PCBs and having been illegally exported based on our suspicions that the ship contained illegal amounts of the toxic substances to have been allowed to leave the country. There is never an answer presented as to what GSA’s position was related to the allegations of PCBs on board the ship. Presumably they will fall back on the flawed paperwork from the Coast Guard that states the ship was free of regulated PCBs. Of course, we know that there was a significant quantity of undocumented old wiring and cable on board the ship that likely contained PCBs above regulated levels, plus any original paints with PCB flame retardants on the interior of the ship that were buried under years of subsequent layers. And the rest is repetitive, once again. Overall, the correspondence with GSA is reaffirming that the bureaucrats at that agency, particularly Heather Bischoff and Tonya Dillard, bear direct and heavy responsibility for the sequence of events related to the destruction of STORIS. This, enabled by a government culture of incompetence within their management structure and the federal government as a whole. The next GSA release is supposedly to come out sometime in February. Here is the last part of the MARAD FOIA release. There are 181 pages, most of which are location reports for where STORIS was kept within the SBRF and condition reports, all of which indicate that the ship was in good physical condition, had no leaks and was otherwise not a source of problems for MARAD. The majority of these pages are redacted as they also gave information for the other ships in the SBRF. Since the information did not pertain directly to STORIS (and probably showed that the other ships had serious problems that MARAD doesn’t want to publicize), the information was redacted. Again, the subjective redactions related to “attorney-client privilege” and “deliberative process privilege” have been applied. Some information they compiled involved the Coast Guard and GSA. Those agencies have to be individually contacted to determine whether that information can be released. The GSA contact letter from MARAD is here: http://goo.gl/tEs7O6, while the CG letter is here: http://goo.gl/izTI1c. The game of keep-away otherwise continues with the four agencies involved with STORIS’ excessing and destruction. I have not heard from EPA or USCG in several MONTHS. With the beginning of the new year, I will have to reach out to them to ask what is going on with the requests submitted to those agencies and their responses. I will likely have to turn to the Office of Government Information Services (OGIS) again for assistance, though that group – affiliated with the National Archives – has no authority or enforcement power to compel release of records. I have been in contact with some Michigan legislators to ask for help in this situation. The election has changed the roster of involved lawmakers somewhat, but once they have settled into Washington, I will be in touch. I suspect it may come down to getting ALL of the STORIS supporters involved to push legislators into going after these agencies to release the information we seek. The alternative is to file lawsuits in federal court. Since STORIS Museum no longer exists and I cannot personally afford to subsidize such an endeavor, that is not a practical approach at this time. Pages 166-167 outline costs charged by MARAD to the CG for maintaining the ship. Again, looking at the money charged/spent for six years of museum donation hold for STORIS, that the government only took in $70,100 for her sale is ludicrous. Wait until you see the second GSA release when money is discussed. That will make your blood boil when you see that discussion, and that’s only scraping the surface of what is supposed to be coming from GSA. Pgs. 176-181 are discussions among MARAD and USCG personnel about the STORIS Museum and potential transfer questions regarding the ship. They are redacted and have been referred to the Coast Guard to determine whether or not the information can be released. I have not had any contact with Coast Guard in months, so I have no idea what the status is on the decision to release that information. Conspicuously missing from this correspondence is any documentation that would have gone up the chain of command at MARAD, particularly to Paul "Chip" Jaenichen, MARAD Deputy Administrator (acting chief administrator, who was permanently promoted to that position in summer 2014). This is labeled as the last MARAD documentation to come out of the FOIA Request and the appeal is underway and to be submitted by Jan. 11, 2015. There are lots of problems with what MARAD has sent. These problems mirror those of other organizations and people are experiencing, so we’re not alone, but at the same time, it does nothing to answer questions about the mishandling of STORIS and MARAD’s complicity in the sequence of events that ended with the ship’s destruction in Mexico.